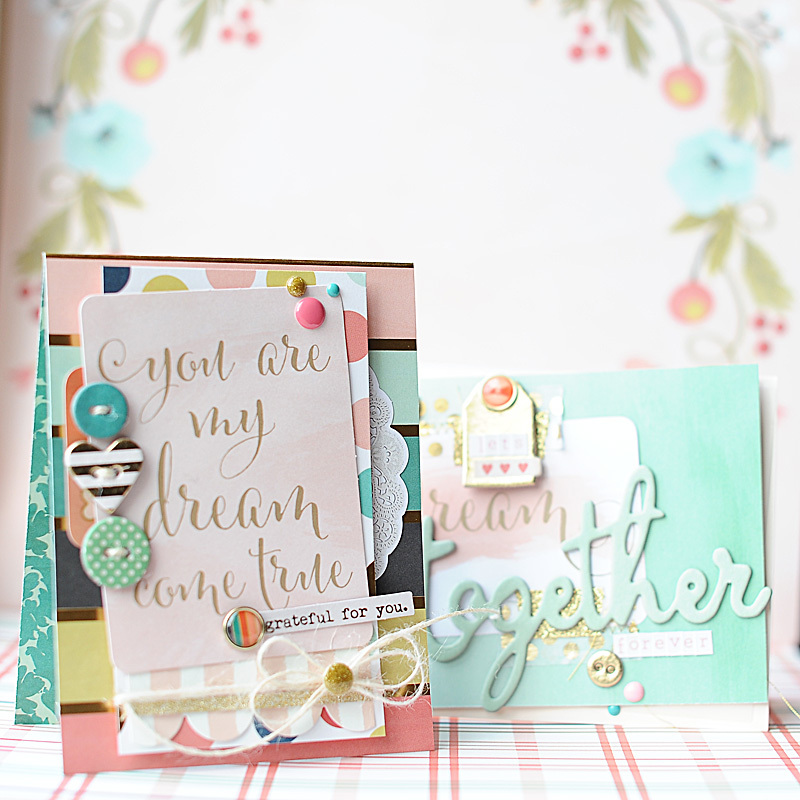 I'm on the My Mind's Eye blog today with some cards using the brand new Market Street "Ashbury Heights" product. I *might* have squeeled & gasped when I opened my box of new goodies the other day. But seriously...who can help it when new My Mind's Eye arrives on your doorstep?! 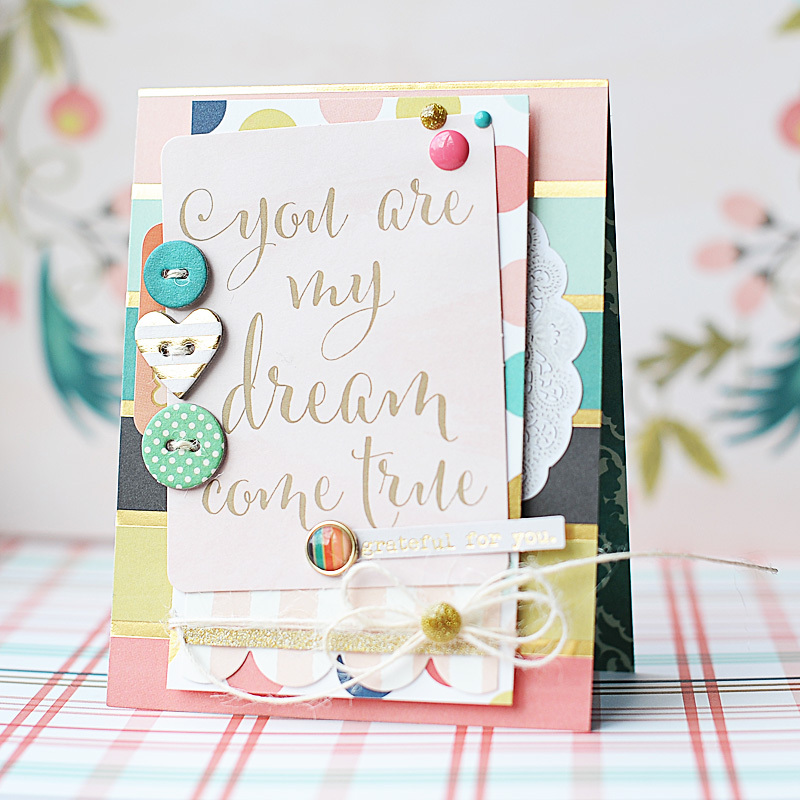 I love the dreamy & whimsical nature of the colors & fonts used in Ashbury Hill, so I focused on the word "dream" and created two sweet love cards. They are full of pink & different shades of green & gold...and I just love them! I used two of the Viva la Verve May sketches (week 1 and week 2) and the inspiration photo for Runway Inspired #60. I was drawn to the pink in her skirt, the mint on the floor & the gold on her sweater (it's more goldenrod on the photo - I chose to use metallic gold instead)....plus I was just inspired by the whimsical nature of the outfit as well! Here is what I created! 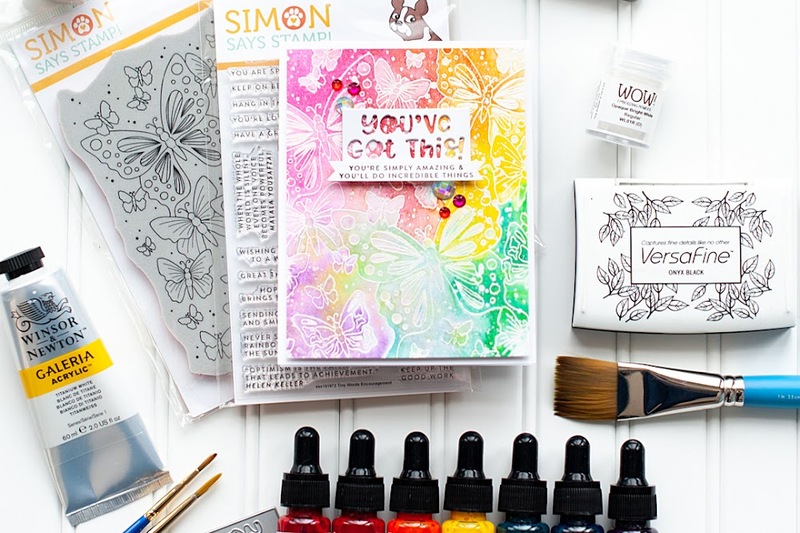 Supplies:Market Street - Ashbury Heights: shimmer paper, dotted paper, 6x6 paper pad, chipboard elements, chipboard buttons, decorative brads, mixed bag diecuts, enamel dots, 3x4 cards;Necessities - Metallic: decorative tape; Now and Then - Mildred: alpha/word stickers. For both cards I layered papers & journal cards together, and used stitching & foam adhesive to give the cards more dimension. I also slanted the sentiments on both of them to give it that eclectic, "thrown together" handmade feel...even though I very strategically placed every item. Lol! 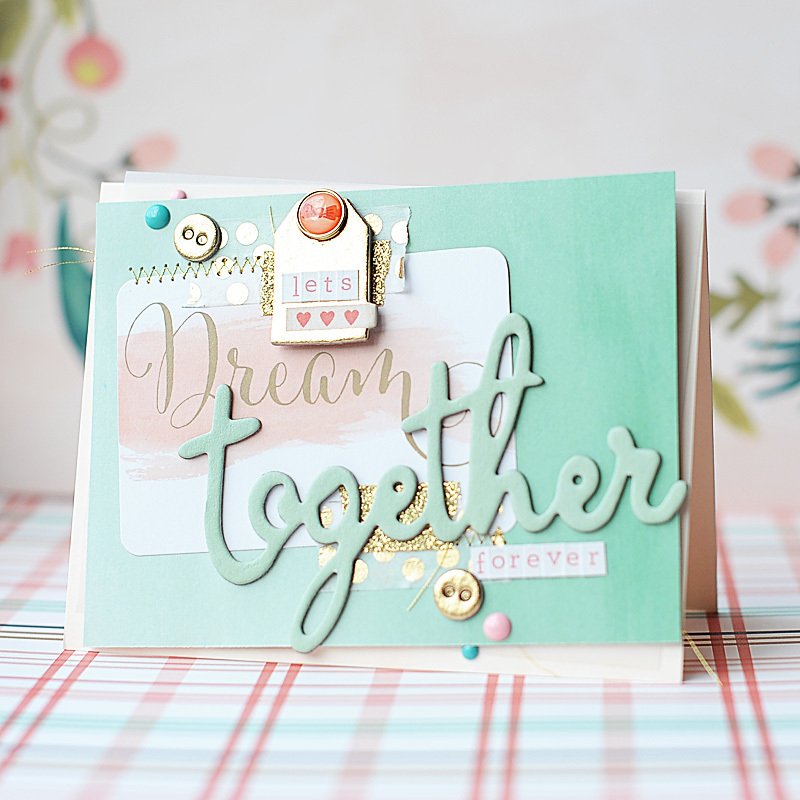 For the first card I cut the card base from the "Ashbury Heights" shimmer paper. After cutting a block of polka dot paper & a scalloped border strip, I layered them together, then accented with a glittered paper strip & tied twine around the bottom. I layered this entire block to the top of the card with a doily diecut, popping the paper block with foam adhesive. I tucked a tab under the left side of it, then accented with twine threaded chipboard buttons. 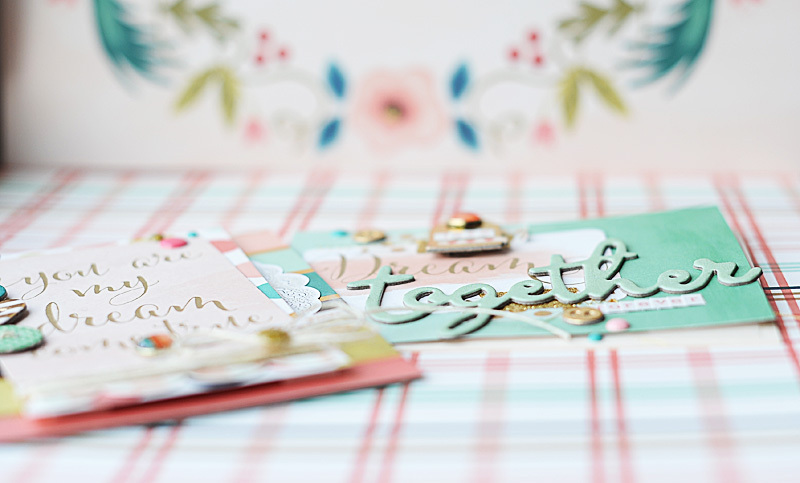 I added a little sentiment strip & brad to the bottom of the journal card, then accented the card with enamel dots. For the second card I started with a blush cardstock base. I layered a vellum & aqua paper block together, then adhered the "Dream" journal card to the top with washi tape strips. After adding some zig-zag stitching to the front, I adhered it to the card base. I added the chipboard embellishments to the front, then finished the sentiment with tiny alpha stickers. I finished it off my accenting it with enamel dots! 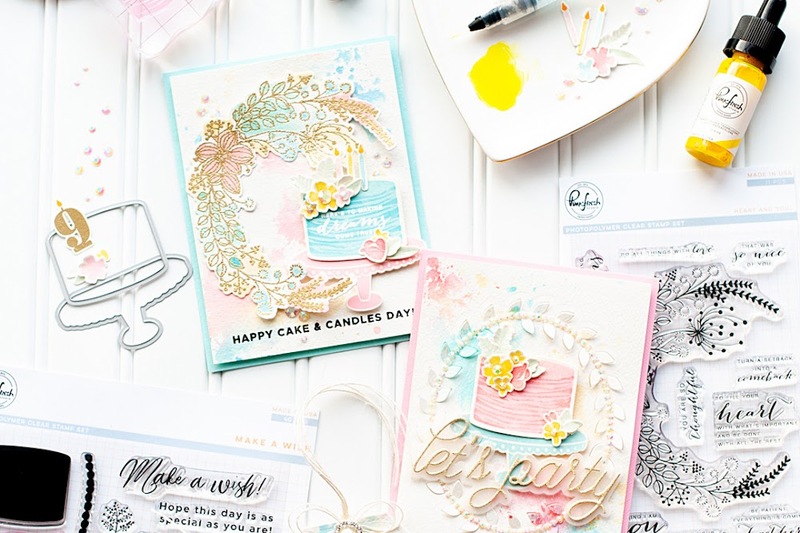 These new collections have ignited my crafty mojo A LOT, so I would highly suggest you add some of the Market Street goodies to your stash. They have literally filled me with inspiration! Thanks for checking out my cards, and I hope that you have a wonderful rest of your day! So pretty! 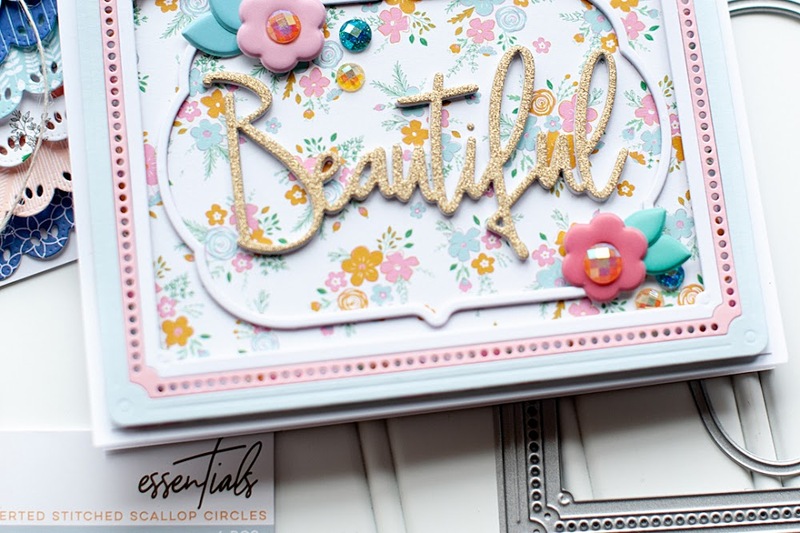 I am loving the embellishment choices and that gold washi is just delicious! These are absolutely gorgeous! Every little detail is scrumptious. Wow, these are stunning! And I'm in love with that collection too! :) Thanks so much for joining us on the Runway!